We align broadly and deeply, with the best suppliers, to most effectively service our customers. We partner with leading national brands to ensure superior performance, reliability and innovation. We’re committed to ensuring the safety, quality and compliance of the products we supply to our customers. Veritiv Corporation (NYSE: VRTV), is a North American leader in business-to-business distribution solutions. Serving customers across virtually every industry, Veritiv provides Packaging, Facility Solutions, Print and Publishing, Print Management; and is also a provider of logistics and supply chain management services. Veritiv was established in 2014 following the merger of International Paper’s xpedx division and Unisource Worldwide, and has emerged as a business-to-business distribution solutions leader in North America. Today, Veritiv's focus on segment-tailored market leadership and commitment to operational excellence allows us to partner with world class suppliers, add additional value through multiple capabilities, and deliver solutions to a wide range of customer segments. Looking for a specific Veritiv location? Consult our location finder. *As of December 31, 2018. 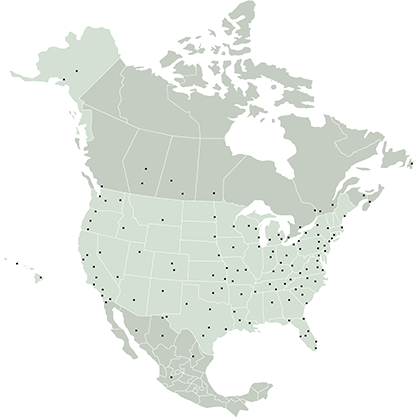 All data reflects Veritiv operations worldwide with the exception of warehouse locations and square footage, which reflect our North American distribution network only. Veritiv aligns with the best suppliers to most effectively service our customers. We engage leading national brands for superior performance, reliability and innovation. We seek suppliers committed to ethics, safety, and quality. The Veritiv Values set expectations for our suppliers’ entire supply chain. We conduct our business with honesty and integrity; treat people with dignity and respect; comply with laws, regulations and treatises; provide safe and healthy workplaces; and respect the environment. We expect our suppliers to do the same. Learn more in our Supplier Code of Conduct. For questions about the e-supplier program, including new solutions, changing solutions and business process changes, click here. To report an outage, or for other technical support, click here. To download a copy of the form, click here.